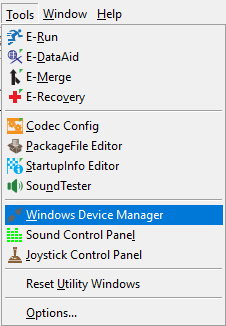 The Tools tab located in E-Studio's Menu bar contains the following entries: Windows Device Manager, Sound Control Panel, and the Joystick Control Panel. 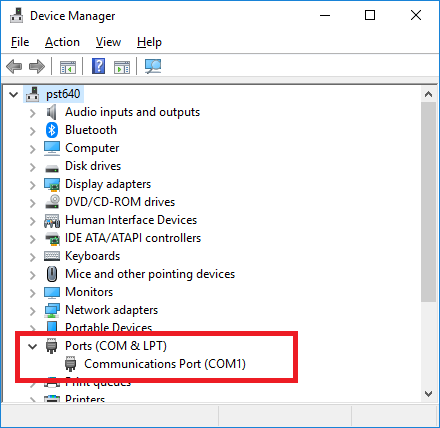 These entries can expedite experiment design time by providing a shortcut from within E-Studio to the Windows Control Panel applications. Before the Tools menu provided this direct access, these applications had to be opened from the Windows Control Panel, outside of E-Studio. Each applications is described below. This shortcut opens the computer's Sound Control Panel. 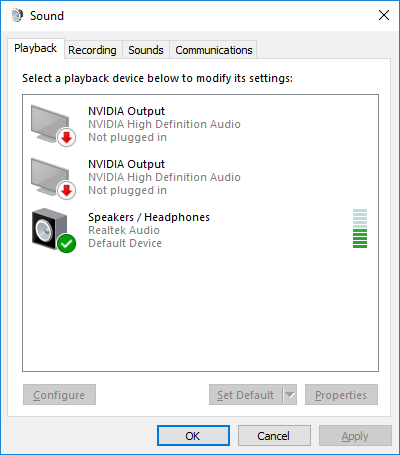 This is useful for quickly specifying what audio recording and playback devices will be used in the experiment. This can also be used to configure properties of audio devices that are attached to the computer. 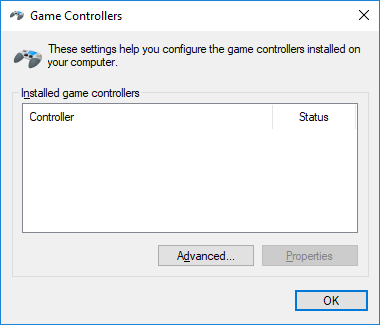 This shortcut opens the properties page for any joystick device or game controller that is currently attached to the computer. This is useful for the quick editing of joystick-specific properties such as joystick calibration. It is also useful to find the specific reference number used by the game controller or joystick device.